Thanks in part to bands like Explosions in the Sky, Mogwai and the current state of electronic music, all instrumental bands are becoming more and more popular now than ever before. 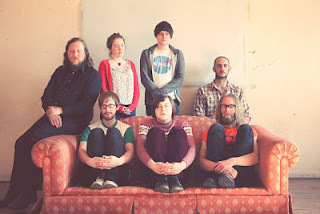 Hailing from the same country as Mogwai, Scotland's Remember Remember is the work and brainchild of musician Graeme Ronald. The band started off as a solo venture of Ronland in 2007, playing every instrument and making every beat, yet as he progressed as an artist, he began filling in the void of instruments he could not play with musicians who could. Now, Remember Remember is a seven-piece outfit making waves and a name for themselves all over the UK. Releasing a handful of EPs and a full length last year, Remember Remember rising to the attention that will bring them to the festival circuts around the world and into the headphones of new fans.